Blizzard Warning! Do You Have a Snow Removal Plan? Blizzard Warning! Do You Have a Snow Removal Plan? Blizzard Warning! 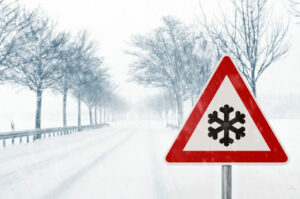 Do You Have a Snow Removal Plan? Snow removal is imperative for the safety of our fellow people. It’s happening, Maryland! To make up for our particularly warm winter, It seems as though our first real snowfall of the season is going to produce major accumulation. If you forgot snow existed for a moment there, we don’t blame you. But Maryland and many states in the Mid-Atlantic are facing a potential blizzard! Do you plan to shovel? Are you going to hire a professional for efficient and effective snow removal? Do you even have a snow removal plan? Parking lots can become unmanageable rapidly in the face of a winter storm if they are not treated properly, and quickly. It is best to get an efficient and effective snow removal and maintenance plan in place – sooner rather than later. It is of utmost importance that you do not let snow pile up in handicap parking areas or walkways. Clearing snow as soon as possible will increase the safety of the people on your property. It will also increase the longevity of your pavement by preventing new cracks and worsened potholes from appearing. Each city that experiences winter weather has specific guidelines for the pace at which snow must be removed from sidewalks and private roads. These are law-abiding instructions for residential and non-residential properties. Sodium chloride (salt) is derived from mined rock salt that is crushed up. it also serves as a de-icing tool to assist in melting ice and snow. De-icing is an important part of your snow removal plan, but if it is colder than 10 degrees, don’t expect it to be as effective. Have you ever seen those large mountains of plowed snow that often accumulate in parking lots and similar areas? When snow blankets the ground, it is going to result in an excessive pile. The Atlantic Maintenance Group is equipped to handle snow removal and relocation! For basic residential snow removal, use a shovel when you can. Plastic shovels are safer than sharp edges shovels when it comes to caring for your pavement walkway or deck. Proceed with caution, as intense shoveling is known to be uncomfortable and in some cases cause injury. The Atlantic Maintenance Group offers quality landscape, asphalt, snow removal and concrete maintenance services. We have the expertise to help meet all of your needs. This entry was posted on Friday, January 22nd, 2016	at 8:12 am	and is filed under Blog	. You can follow any responses to this entry through the RSS 2.0	feed. Both comments and pings are currently closed.